Before putting pencil to paper, you should decide on the best pencils for your style of drawing. Some of the top brands are on the market are Caran D’ache, Derwent, Faber-Castell, Prismacolor and Staedtler. Each brand has its own characteristics, so you need to do a little experimenting to decide which one you prefer as well as which fits your budget. Pencils consist of a mixture of clay and graphite. As a rule of thumb, when the pencil has a higher ratio of clay to graphite, the harder the pencil lead is. Just so you know, there is no lead in pencil lead. Manufacturers grade their drawing pencils using the HB scale. This range of pencils can include as many as 20 grades of hardness. On one side of the scale are the harder pencils, which are marked with an H for hard. 9H is the hardest in this grouping. On the other side of the scale are the softer pencils, which have the B designation. The B represents blackness. The softest of these pencils is 9B. In the middle of the scale is HB. Each pencil in the scale creates a mark with its own value. 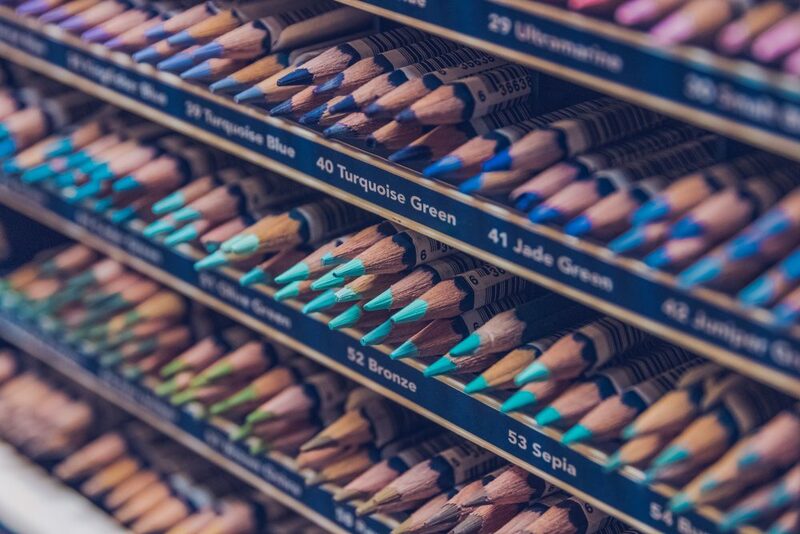 While you could buy a full set of pencils, you generally do not need nor will you likely use every pencil in a set. If your budget is tight, only buy the pencils that you need. In starting a sketch, you usually make some light lines to indicate the basic shapes in the drawing. For making this initial light sketch, you might select 2H and 4H pencils. For creating the darker values in the drawing, HB, 2B, 4B and 6B usually suffice. Rather than pressing harder to create a darker mark on your paper, use a softer pencil. Once you settle on your favorite brand of pencil, stick with it. The reason is that a particular grade, such as a 4B from one manufacturer, may not match the value produced from another manufacturer’s 4B. If you are working from a picture or photocopy, one way to help pick the right pencil grade is to use a gray scale and value finder. This value finder lets you isolate and inspect value of a particular area in the photograph. 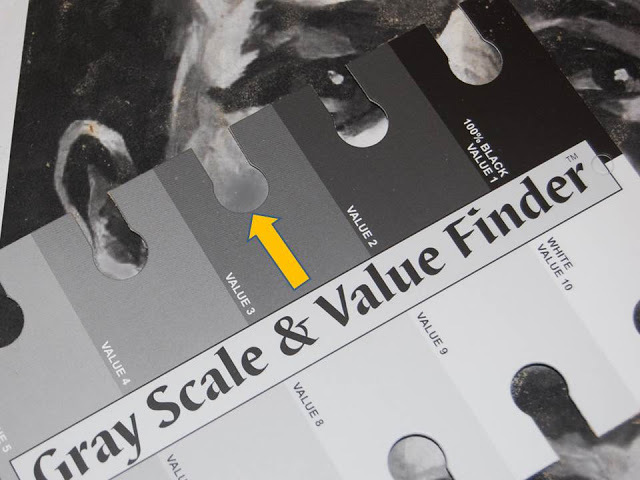 A Gray Scale & Value Finder can help you match the pencil you need to reproduce a value in your drawing. To lighten up a value on your drawing, which is too dark, a kneaded eraser is indispensable. The softness of the eraser allows you to press it over an area of your drawing to gently lift off a slight amount of graphite. This malleable eraser also allows you to mold it into a number of shapes to create a narrow highlight or a suggestion of reflected light. The value that a grade of pencil produces will depend on the particular pencil manufacturer. In other words, these values will vary from one brand to another. Below are the gray scale values that I produced in testing one brand. In your testing you should create a chart for yourself.